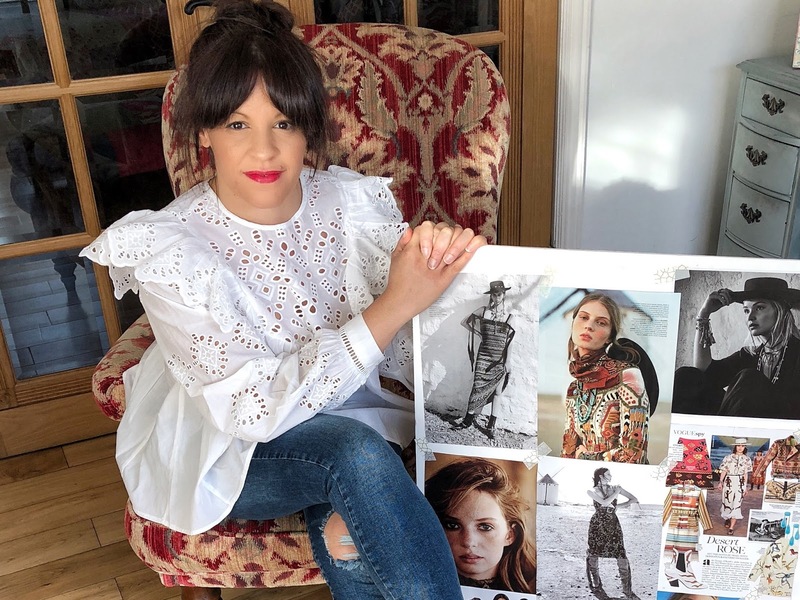 As we say goodbye to our sequins, metallics, and sparkles for another year, we head into a new fashion season, hopefully, ready to embrace the new spring trends with excitement. As the British high street fills their stores with stripes, florals, and pops of brights, it can sometimes feel incredibly overwhelming on how to make the themes work for you. However, if you can achieve the right balance between must have and wearable, then it can keep your look fresh and hopefully keep you excited about your wardrobe. But where to start? When it comes to defining my personal style or cultivating a new look I always start with inspiration. Today I want to take you through the trend timeline, by selecting a key theme that is relevant for now, and show you how I make it work for me. Hopefully, there will be some tips within this that will get your springing into the new season. For as long as I can remember, I have been a magpie for catwalk collections, street style looks and a total magazine obsessive. Even when I fell out of love with myself, I still followed the collections to see what was happening in the world of fashion. So when it comes to seeking out new looks and ideas, I always start with the Vogue Shows. Vogue uploads the catwalks, lookbooks and fashion week street style looks as they happen. Five times a year they offer up, Resort, Spring Summer, Pre Fall, Autumn Winter and Couture and I scroll like a maniac to save the looks I love. As I save my favourites, common themes begin to emerge, outfits that resonate with me or inspire me are all added to my camera roll, to look back on once the actual season hits. 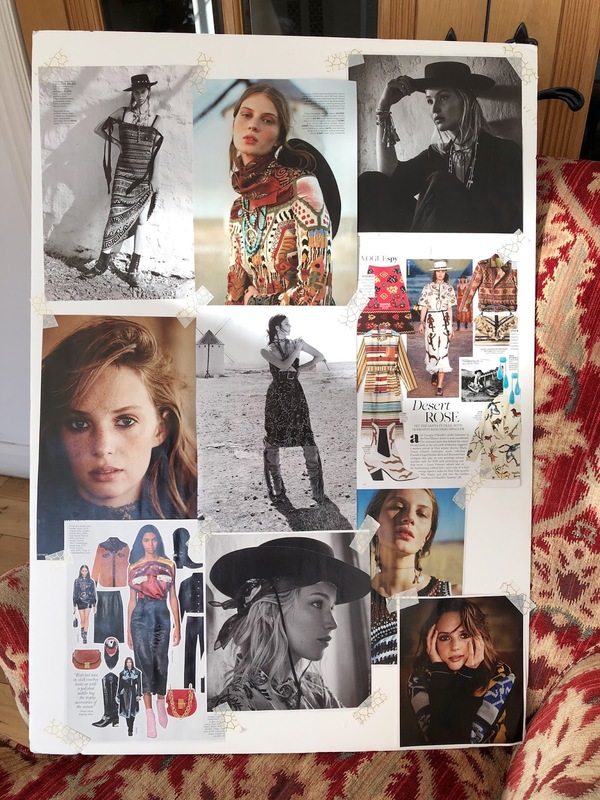 One of the key trends to come through from the resort shows was Desert Rose This textile driven, western trend, promises to inject your wardrobe with a homespun vibe. It offers up the most perfect of styles for wrapping up at home with the fire burning and keeping Netflicks on repeat. Key looks include the intarsia blanket cardigan, tapestry biker jackets, feminine and pretty lace blouses and dresses, hardened with the cowboy boot or hat (yeehaa). This trend should feel effortless and thrown together. For me, the blanket cardigan worn over jeans and a simple tee is the way to go. This trend also gives us a colour palette rich in desert camels, log burning reds and sunset oranges. These colours translate beautifully into knitwear, a great way of dipping your toes into your own desert moment. Another look that keeps coming through is the lace or broderie blouse which I’ve always loved come summer. There is something fresh and crisp about this amongst the dusty brights. When we finally hit the season, the magazines start to create editorials based on the key themes. Ultimately doing all the hard work for you. Glossies such as Porter, Vogue, and Bazaar will create high-end editorials to give you a sense of the mood. Usually completely and utterly unwearable for the nursery/school run, but beautiful to look at. Then you have your weeklies such as Look magazine and Sunday supplements that pull it together more wearable. This is a great place to start if a trend seems unattainable. From these magazines, I love (to the disdain of my husband) to create mood boards. Not only do I find it hugely satisfying, its a great opportunity for me time. I have an A1 foam board that I reuse to tape all my magazine tears and sometimes fabrics too. An alternative to this is to create a Pinterest board or digital board using apps such as Moldiv. So I have my catwalk analysis, I have my mood board, but how do I make the trend wearable and to fit in with my wardrobe? I do this using both Pinterest and Instagram. Pinterest is perfect for searching a particular item of clothing and showing you how to wear it. For example, if the Intarsia wrap jacket or cardigan is the must-have hero item, then type in Intarsia wrap cardigan outfit. Your feed will bring up a multitude of looks, in this instance, they are mostly styled with jeans and boots. For Instagram, in the case of the Desert Rose theme, it’s not so easy to search. But by following my favourite fashion bloggers, at some point, they will all start to showcase their take on this new trend. So now I have my trend, how to wear it and an idea of what the key pieces are. But how does this fit my style and how will I make this look work for my lifestyle? Especially as my new year’s style resolution was to invest in forever items. Those wardrobe essentials that are not so much trend led and work hard to pull my look together. The look that resonates with me the most is feminine and pretty blouses. They instantly refresh my wardrobe and can be worn with chunky knit cardigans or my camel coat. This H&M Broderie blouse is beautiful and inexpensive, which is perfect when I only want to dip my toes into a trend. Speaking of toes, if you know me, then you will know I have a thing about inappropriate shoes. By inappropriate, they are usually not right for the current weather. I’m obsessed with ballet pumps, slightly odd-looking shoes and bright colours. 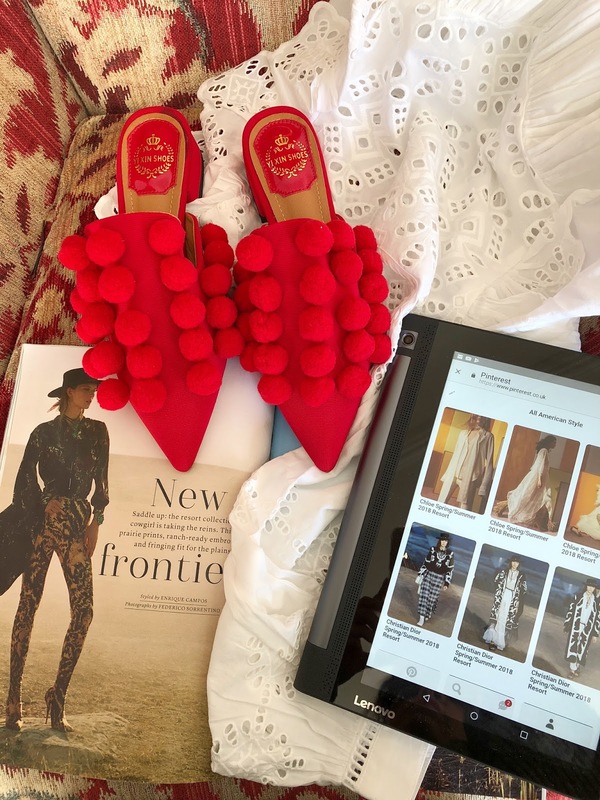 These pom pom flats, by Studio B Fashion, scream hunspun meets homemade and I love them nearly as much as my boys. Teamed with my jeans and a pretty blouse, this is how I will be paying homage to the wild wild west. I applaud you for being able to put together such stylish outfits while mumming! I’m not that creative with fashion but wouldn’t be able to find the time if I were!! Such a lovely post. I love how other Mummys look. I am not in a place where i want to buy clothes at the moment, so tend to stick with the same old, same old. But i personally think it is nice to look lovely to show your children. I'm very much a boring jeans and t-shirt girl! You look amazing! Those shoes are ace! I love unusual and bright colour shoes. Gosh you look amazing. I have my uniform of jeans and a baggy tshirt eben in 50C heat lol. I feel like a total fraud if I do anything else.